Questions of pacing kick us into fall, as Ask Ken and Robin tackle a query from listener Michael Bowman. In Crime Blotter we hunker down in our tarmac-damaging humvee to consider the trend of police militarization that catapulted to world attention in the wake of the Ferguson protests. Ken and Robin Recycle Audio serves up the promised second helping of GUMSHOE scenario design master class. Then in Ken’s Time Machine our intrepid chrononaut shortens the US Civil War. Lead sponsor Atlas Games sharpens your desire for a project near and dear to Robin’s heart, not to mention a good chunk of his year so far. 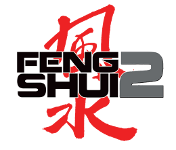 It fires off warning shots concerning the upcoming Kickstarter for Feng Shui 2! Click the link to be notified when the campaign goes live. This entry was posted on September 12th, 2014 at 8:26 am and is filed under Podcast. You can follow any responses to this entry through the RSS 2.0 feed. You can leave a response, or trackback from your own site. Today, while researching a game set in Seattle, I learned that at the 1909 Alaska-Yukon-Pacific Exposition a raffle was held in which the prize was an orphan . What’s the most absurd, hideous, or delightful thing you’ve learned while researching a game or game project? Robin, congratulations on the win for Hillfolk! I have a question for KARTAS about Dramasystem petitioning that would really help. I’ve been introducing the game to quite a few people and the major stumbling block that seems to trip them is making their petition emotional rather than persuading the other player of their petition. “Help me betray Chief Great Claw” is easier for them to understand than “Help me betray Chief Great Claw, but really what’s important is for you to respect me”. We also seem to run into situations where the granter is willing to grant the emotional concession, but not help the actual plan, which kind of derails things a bit, especially when the emotional concession is allowed to only be grudging. According to the 11th century Lokapaññatti, Gautama Buddha’s relics were buried in a tomb protected by “spirit movement machines” (bhūta-vāhana-yanta) constructed by an engineer from Roma-visaya. In other words, Roman robots. “[T]he secret of their manufacture was well guarded, and was never to leave Rome. Any expert attempting to leave the city would be hunted down and killed by one of his own robots.” — Strong, John S., Relics of the Buddha, Princeton University Press, 2004, p. 133. « Episode 105: Does This Look Like a Railroad to You?